The SNOWBIRDS are starting to come south! Once you have made your lodging and travel arrangements, you will be ready to enjoy the white sandy beach. Get a relaxing massage by the beach with VIOLETA, located near the Hotel Amar Inn. Special prices to frequent customers and groups. Make your reservations at: Cel. : 044 (998) 109-4796 or 044 (998) 133-3596. For a Taste of Real Mexico, come to the downtown square from 6:30 p.m. (18:30 hrs) every Wednesday night where you will find the local artists and Mexican entertainment until 10:00 p.m. Welcome to our Enchanted PUERTO MORELOS MAGICO. This project is held every Wednesday at the Central Park of Puerto Morelos and surrounding areas. It is a great opportunity for the visitors to appreciate and get to know the diversity of handicrafts, cultural, artitic and gastronomic magic that Puerto Morelos offers. Let us give you the opportunity of showing you the Magical and Traditional side of Puerto Morelos. PUERTO MORELOS has many tourist attractions like The National Reef Park, the Botanical Garden, Crococun Zoo, Xenotes, the Cenotes Route, etc. This Magical place can also offer the residents and visitors, the many traditions, dances and art at the Parque Central del Puerto with a very nice and family oriented atmosphere. Bicycling is an excellent way to get around town and explore the surroundings. You can rent a bike and create your own tour in Puerto Morelos Mexico. A bike tour allows you to exercise. To find out about Bike Rentals while you are in Puerto Morelos, go to the Facebook page Puerto Morelos Green Bikes. Swim Without a Life Jacket in the Marine Park! For Any Swimmer Aged 8 and Up. You get to swim underwater without having to hold your breath. SNUBA allows you to explore a three-dimensional world you can gaze down upon while snorkeling. You just breathe through a mouthpiece of a simple to use regulator while your air supply floats on a comforting support raft at the surface. Enjoy swimming at any depth, from the surface up to 20 feet below! SNUBA is experienced at your own level of comfort, and your SNUBA Guide will be with you throughout the entire tour. Book a tour through WET SET Diving Adventures. The ROTARY CLUB of Puerto Morelos meets every Thursday evening at 7:00 p.m. in the restaurant of the Hotel OJO de AGUA. The sessions are held in Spanish but the members speak English. All International Rotarians are welcome to attend. Contact us at: pmorelos@puertomorelos.com.mx. HAVE A WONDERFUL WINTER GET AWAY VACATION ! Our town square, or Zocalo, is getting a new look, including public restrooms using ecological toilets, a wonderful innovation. The ‘Ventana al Mar’ or sea breeze, area is a great place to stroll, relax and enjoy the refreshing sea breezes late afternoons or evenings after enjoying a satisfying meal at one of the many fine restaurants within walking distance. Stroll south to the Artisanal & Handicraft market and Hostal Secreto. Our free Puerto Morelos Tourist Guide will help to find your location and highlight some of the things to see and experience in the area, all a short walk from the center of town. NEW! . . . Magic Nights in Puerto Morelos. Every Wednesday evenings at 19:00 hrs (7:00 p.m.) in the Town Square. Come with your family and friends to the downtown main park and have a great time, hear excellent music, dances as well as the Folkroric dances from the Mayan Peninsula (Quintana Roo, Yucatán, Campeche) and the special Prehispanic show. Around the main plaza (downtown park) where the locals offer handicraft souvenirs and gastronomic restaurants. Find the detailed schedule and more information below. More adventurous? Use the Tourist Guide to direct you to area attractions located north and south of the access road to Puerto Morelos, right off the highway. Take a taxi or the collective bus to the Pueblo or Colonia area of Puerto Morelos (across the highway) north to Crococun Zoo, or south to the Botanical Gardens, the Rutas Cenotes (road to the Cenotes) and the Sanctuary de la Esperanza which is located south of town, just off Highway 307. Our latest Edition, No. 21 of our PUERTO MORELOS Tourist Guide is up on our website Home page. All the information you need to enjoy your stay in Puerto Morelos, including a village map, is included in this guide. This latest edition includes a special article about the invading and destructive Lion Fish. Don’t miss it! June 5th was the Celebration of World Environment Day! For that occasion, the Dr. Alfredo Barrera Marin Botanical Gardens, (located just south of Puerto Morelos, off Highway 307) invited the general public to a free day of celebration of being in operation for 31 years! Festivities included a history of the Gardens, dramatic presentations and musical concerts. A good time was had by all who came to admire these beautiful wildlife sanctuary and gardens. On your next trip to Puerto Morelos, make a point to visit the gardens. It’s not too soon to start planning your next getaway to Puerto Morelos! Make your Summer 2013 Family Vacation, one that you will not forget! Excellent off-season prices are available for summer vacation rentals. Check out the SUMMER SPECIALS with prices effective from mid June to December 15th at the web page Vacation Rentals. Want to try something unique? Learn Spanish on a personal level as well as in a classroom setting. We now offer a home-stay language program also. If you choose this option to learn Spanish, you will stay with a carefully screened host-family, Hostal Secreto can offer a personal touch to your language school experience while still being taught individually by our language instructors. Our host-families receive compensation to provide you a home but they do enjoy having a foreign student as a guest. In this plan, 2 meals a day are provided (breakfast and lunch or dinner), the same food the host family normally eats unless you have dietary restrictions which you can note on your application form. Sharing your time and meals with your host family is one of the best opportunities you will have to practice your Spanish and learn more about Mexican culture and values. Learn it, live it and like it! . . . Visit this web page to learn about the Language Center that has been operating successfully for over two years and continues to have remarkable success. Besides teaching Spanish, the Language Center also offers English and French language lessons on request. The Language Center has taught students from 6 to 80 with a staff of highly qualified professionals who have more then 40 years of combined foreign language teaching experience. Students are interviewed before class begins to determine your individual language level and goals, as the lessons are individually geared. With faculty guidance, students are able to reach and exceed individual learning goals and expectations through this student-oriented approach. Something new has been added to the 2.3 km concrete bike/walking path that connects the town square area of Puerto Morelos and the highway: Street Lights! This addition will make it easier and safer for all to navigate this path on foot or by bike day or night. To find out about Bike Rentals, go to the Facebook page Puerto Morelos Green Bikes. HAVE A PLEASANT SUMMER ! The winter months are almost over and Spring is in the air! Easter Day is March 31st. During Easter week, or Semana Santa, Mexican families and friends travel or visit each in Mexico. Puerto Morelos has become a popular destination so take the time now planning a refreshing “Get Away Vacation” during April, May or June. Look for the special offers that you will find online. Take advantage of the many attractions available in the area, such as the Coral Reefs at the MARINE NATIONAL PARK where Snorkeling, Diving and Fishing can be done at a short distance from shore and where, at the end of May, from the 24th to the 26th of May, the Annual Fishing Tournament is being held. We invite you to visit our Fishing Tournament page. For the avid golfers who wants to get a head start before the summer season, plan on some GOLF at one of the courses along the Riviera Maya south of Puerto Morelos, OR you might want to rent an ATV and explore the area or participate in Tirolesa and Zip Line adventure at one of the Cenotes along the CENOTES ROUTE located in the direction of Central Vallarta and Leona Vicario, that can be found at No.72 of the Area Map on the MAPS of Puerto Morelos. Consider a road trip starting from Cancun and the Riviera Maya. MARAND Travel’s Vacation Guide has a link under Travel Destinations to visit at your leisure. Exercise your mind while relaxing your body by learning some SPANISH! Challenge yourself and have fun with a chance to learn the language and culture by taking some Spanish classes at the Spanish Language Center. We also invite you to visit this web page. At the beginning of March, the International Rotary Club flew in more than 80 wheel chairs which were given to the community in Cancun and the Puerto Morelos area. It was part of the Wheel Chairs Mission by the members of the Rotary Clubs that came from Canada and the United States. This gesture took care of the needs of many Mexican families in the area. The club meets weekly at 7 PM on Thursdays. Visit our REAL ESTATE page if you have an interest in making an investment in the area. Check-out our 5-minute “Magical Surroundings” Vacation Guide Slideshow about Puerto Morelos, visit the page. For inquiries, we invite you to Contact Us. On December 21st, 2012 the State Government inaugurated a very special monument at the southern edge of Puerto Morelos (on the Highway heading toward Playa del Carmen). The monument is called the “Sanctuario de la Esperanza” or Sanctuary of Hope, dedicated to the new era of the Mayan culture and beliefs. Consisting of 65 columns, this site is worth visiting. The south entrance houses a plaque written in three languages, Mayan, Spanish and English, which details the concept behind the sanctuary. Take a few moments to drop by this site and read the many poems written on each of the 65 columns. There are both north and south entrances with ample parking. More information, in Spanish, Governor Dedicates Time Capsule at Santuario de la Esperanza . Also located off Highway 309, approaching Puerto Morelos from the south, you will find the Botanical Gardens, a lovely and serene place housing local plant life. The Gardens are open from 8:00 am to 4:00 pm, Monday-Saturday, closed Sundays. The 8th FESTIVAL de Musica 2013 was held in the Port area in the Town Square with many musically programmed activities that are described on the Casa Cultura Puerto Morelos Facebook profile. February 2nd was the celebration day of the XV Anniversary of the “Parque Nacional Arrecife de Puerto Morelos” with various daytime activities that were held around the Town Square “Plaza Central”, the beach, the “Malecon” and the “Auditorio Marino”, where many special important invited guests from the “Alcaldia” of Puerto Morelos were present. The final activity of this day was the presentation of the famous Folkloric Ballet of Quintana Roo that culminated the closing of the 2013 Annual Music Festival of Puerto Morelos. To continue on musical notes, the children’s 9th Music Festival of the Elementary School ADOLFO LOPEZ MATEO, located on Ave Javier Rojo Gomez, is held every year on February 14th at 6:00 p.m. The famous Guitarist Javier Rojas will perform again this year. The 2013 WINE TASTING AND FOOD PAIRING events is being held for seven consecutive Friday nights starting on February 1st at “The Little Mexican Cooking School” of Puerto Morelos located on Ave Rojo Gomez. On Saturday, February 23rd, the 8th Annual Marathon for Open Waters named “RUTA DEL ARRECIFE” is being convoked by the Association of the “NADADORES de QUINTANA ROO” which has become a very competitive event for International swimmers. This year, the first 10 km competition will start at 8:00 A.M. Come early for the departure take-off ! Vacation Rental in Puerto Morelos, located 1 block from the beach. This charming 3 bedroom bungalow sleeps 5 comfortably. Now taking long term vacation reservations after March 15, 3013. For more information see our Casa Alegria page (link). This property is number 29 on our Puerto Morelos map. Contact us with questions. Because the Mayan Calendar goes no further, doomsayers are saying the world will end in December 2012. But if you speak to current Mayan elders, you would know they are very angry with this prediction and don’t agree at all. The world is not going to end on December 21, 2012. But our world as we know it is being transformed and changed. The Mayan Day Watch, December 21, 2012 is not the end of the world but the rebirth of our world into a new social, political and economic order. The start of the World of the Fifth Sun, as the Mayans refer to this new phase, is the beginning of a new era when the earth aligns with the center of the galaxy according to ancient beliefs. MEDICAL SERVICES while on vacation are now readily available. Medical service is now available 24/7 from the health center, or “Centros de Salud” located in Puerto Morelos proper as well as the facility located in the Colonia Zetina Gasca. Presently, Dr. Isabel Milagros Diaz Valdez is on call at the Center in Puerto Morelos and Dr. Jorge Gutierrez Contreras is located in the Colonia Zetina Gasca location. To support these health services, a medical dispensary, or “Dispensario Medico” is also available staffed by a nurse practitioner Lic. Jose Lopez Lira, who is on call from 8:00 p.m. until 8:00 a.m. except Thursdays. There are small fees for medical services, paid in cash, pesos or dollars. In addition, there are hospitals in both Cancun and Playa del Carmen. The main taxi stand is located in the center of town at the town square or Zocalo. Prices are posted to area destinations. Do not hesitate to contact the manned station and ask their rates or visit their web page. Lovely home for sale in Puerto Morelos, located 1 block from the beach and 3 blocks from the central square. This 3 bedroom home is currently a 4-star vacation rental with many clients returning year after year. This property is number 29 on our Puerto Morelos map. Contact us with questions. Be sure to see our Real Estate page also. SPANISH LEARNING CENTER offers you a chance to learn the language and culture through interactive and entertaining classes taught by qualified Mexican teachers who are trained in the most advanced communication methods of teaching Spanish as a foreign language. If you are looking for a different experience to enhance your vacation as well as to live the culture of Mexico, these classes are perfect for you as you will be encouraged to speak in Spanish from the very first minute of class. Whether you are a novice or an advanced student, you can be sure that the qualified teachers will tailor the class to meet your language needs. For more details on the program, visit the web page. VACATION RENTALS and OCEAN HOMES have become very popular for families as well as singles or couples looking for vacation rentals and accommodations in the area. This year, during the winter months, the demand for vacation rentals is higher than in previous years, therefore do not wait for a last minute booking and be disappointed by lack of availability. Puerto Morelos has had several local issues discussed the past few months on Facebook and on the web page of Voces Unidas De Puerto Morelos. Street Repairs – A nuisance to tourists and residents both, installation of a public sewer system and repaving the streets: VOCES UNIDAS (United Voices) of Puerto Morelos spoke with the Presidente Municipal about the problem of torn up streets due to a planned sewage improvement plan and the long time it takes to finish re-paving work. The Presidente said he saw the representative of Aguakan, the local water department responsible for this project, and is discussing the location for the planned sewage treatment site behind the Handicraft Marketplace. A request was made to the State Government to fix the streets of Puerto but they have not been given the authorization to do so due to budget constraints, and street repairs will have to occur during the 2013 budget year. We all agree this is absurd for the project to take almost a year to complete. A public audience was held in November where the residents of the community met with the authorities in order to get them to take the next step to completion as soon as possible. BANCO AZTECA opened a bank in the Colonia Zetina Garza, the residential area of Puerto Morelos located on the west side of the highway. The bank is located on the first street after the PEMEX gas station going south. Banking hours are from 9:00 a.m. to 7:00 p.m. Monday-Saturday. Money can be exchanged there as well as cashing of travelers’ checks (with proper photo ID). There is still a money exchange or cambio located on the Square in Puerto Morelos as well as several ATMs. Withdrawals from Mexican ATM machines will be in pesos. ROTARIOS OF PUERTO MORELOS – The Club was formed in November. It holds weekly meetings on Thursdays at 7:00 p.m. in the Casa Ejidal, located in front of the Casa de la Cultura, on Ave Niños Heroes. Want to know more about Rotary Clubs? Visit their web page. Once again, we invite you to see the VIRTUAL TOUR of Puerto Morelos. September was the “Mes de la Patria”, the month of the nation. Restaurants serve traditional Mexican dishes such as Mole Poblano, Chiles en Nogada and Guacamole with tortilla chips. During the evening of September 15, people started to gather in the “Zócalo” or Town Square. Some dress in typical Mexican attire such as Charros for men and in China Poblanas for women, an indigenous dress. Those who don’t own a traditional outfit usually find something to wear in the colors of the flag: green, white and red. People of all ages come to this fiesta to take part in the celebration and have a wonderful time dancing, eating and visiting with friends and strangers alike. The Mexican Independence Day celebration occurred on the evening of September 15th. It began with the “Grito” or “shout” of “Viva Mexico” by the people. On this day, Mexicans all over the world celebrate Mexico’s independence from Spanish rule with cultural activities including the coronation of the Independence Day Queen, folkloric dances, local government civic events, fireworks and the popular dance in the park, making a real Mexican Fiesta! The morning of the 16th, the schools and Army military members took part in the Parade around town, dressed up with colorful traditional attires. This property in the Cancun Hotel Zone offers a breathtaking and luxurious master suite with private balcony. Condo Beautiful – 1 bedroom Master Suite located in a beachfront complex in Cancun with a large private terrace overlooking the sea. SPECIAL – $40 USD per Night, per person – until December 15th we are offering several vacation packages to beautiful Puerto Morelos, at the entrance of the Riviera Maya. These include a package offering accommodations + breakfast for only $40 USD per person per night. This package includes a free Jungle Tour. 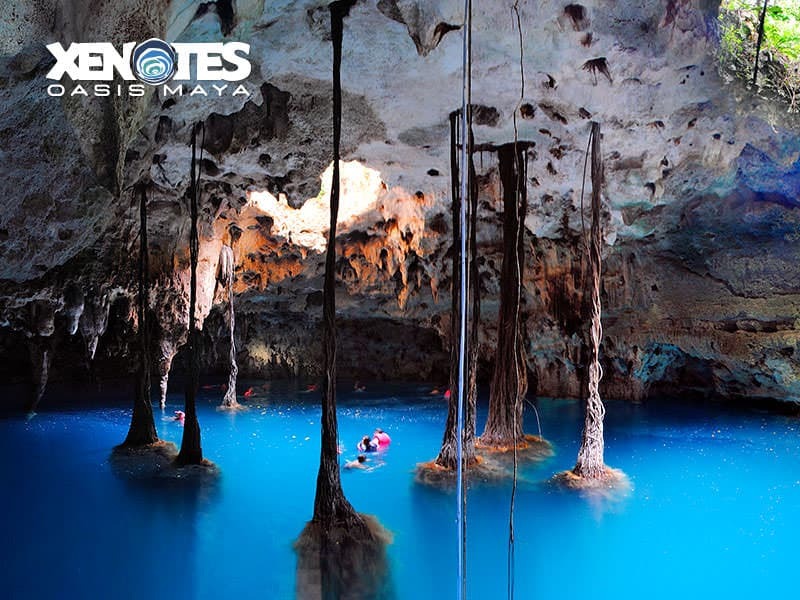 Also give yourself an incredible adventure experience and take a swim in a sink hole (cenote or cavern). BEACHFRONT SPECIAL – $80 USD per Person – This package is $160 USD for two persons and includes 3 days/2 nights at a beach front hotel, breakfast, a Jungle Cenote tour, a swim in a Cenote (lagoon or cavern) which includes transportation from hotel – to and from the tour. To book one of these packages, fill out our Reservation Form and in the Additional Comments section at the bottom please tell us which package you want. NEW – Get a Massage on the Beach – Relax while enjoying a massage on the beach in the special Massage Palapas located on the beaches of Puerto Morelos! NEW – Experience Jungle Spa – Want a Jungle experience while in Puerto Morelos? Visit the Jungle Spa, located 2 km from the main highway in the Colonia section of Puerto Morelos. Open Tuesday through Saturday, a variety of massage techniques and experiences are offered at the Jungle Spa, by appointment only. Contact Us for more information! Taxis offer a fixed rate to the Jungle Spa. Make your arrival at the Cancun International airport a most pleasant one through our professional transportation services. Details can be found on the link Cancun Airport Transfers. Want to improve your SPANISH? Want to learn Spanish while you are vacationing in Puerto Morelos? Learn it, live it and like it! Visit our Language Center page at the Puerto Morelos Language Center or our other link that you will find at: Puerto Morelos Language Center. To find out about various activities that are held in Puerto Morelos, visit the Facebook Profile of the Casa de la Cultura de Puerto Morelos. Also, the community is invited to participate in many of the events that are also posted on the exterior board, by the front entrance. Interested in finding out about the group CITIZENS FOR PUERTO MORELOS? Visit their web site: Citizens for Puerto Morelos. Take a look at our Newsletter Archive. Signup for our Newsletter! We will NEVER sell or spam your email address or share any information you provide to us. You may also unsubscribe from our email list at any time. Despite newspaper and TV rumors to the contrary, Puerto Morelos, Mexico and the Riviera Maya remain safe places to visit. Yes, there might be problematic areas in parts of Mexico as there are in all countries but here in Puerto Morelos and Cancun, visitors and residents are safe. We are proud to say that we have published our 16th edition of the NEWS POST since 2010. You can read past issues at your leisure on the website under Newsletters. All can be translated into your language of choice via the link on the Home page where the country flags appear. On June the 5th, the botanic garden JARDIN BOTANICO DE ECOSUR – Dr. Alfredo Barrera Marin in Puerto Morelos, Quintana Roo, Mexico celebrated its 30th Anniversary with a special ceremony as part of World Environment Day. Members of the United Voices of Puerto Morelos, made up of members of our community, promised to promote the care, conservation and orderly development of the community and its environment. NEW! On Friday June 15th, the ferry “Tropicana Cruises” ADRIANA began operating between Puerto Morelos and HAVANA, CUBA. The ship is presently restructuring its program and prices. It will start operating again by the end of July. However, as of AUGUST 1st, the ship is not returning to this area and is going to operate in Panama until further notice. To travel to CUBA, a valid passport, for at least 6 months from the return date, is required. US passports are not stamped on entry or departure from Cuba. We continue to book airline reservations & land packages from Cancun to Cuba. Contact Us ! Puerto Morelos is a fishing village after all, and many activities celebrate this fact. The last weekend of May, the Annual Fishing Tournament of the National Federation of Sport’s Fishing was held. Dozens of boats participated in this event and thousands of visitors and local residents enjoyed all the port side activities set up for the day including music, food vendors, crafts booths, games and activities and a general festive mood. On June 3rd the “Day of the Marina” was celebrated with more activities for families and community in general. A grand time was had by all. Learn it, live it and like it! . . . The Puerto Morelos Language Center has been operating successfully for two years and continues to have remarkable success. Besides teaching Spanish the Language Center also offers English and French language lessons on request. The Language Center has taught students from 6 to 80 with a staff of highly qualified professionals who have more then 40 years of combined foreign language teaching experience. Students are interviewed before class begins to determine your individual language level and goals, as the lessons are individually geared. With faculty guidance, students are able to reach and exceed individual learning goals and expectations through this student-oriented approach. Want to try something unique? Learn Spanish on a personal level as well as in a classroom setting. We now offer a home stay language program too. If you choose this option to learn Spanish, you will stay with a carefully screened host-family who can offer a personal touch to your language school experience while still being taught individually by our language instructors. Our host-families receive compensation to provide you a home but they do enjoy having a foreign student as a guest. In this plan, 2 meals a day are provided (breakfast and lunch or dinner), the same food the host family normally eats unless you have dietary restrictions which you can note on your application form. Sharing your time and meals with your host family is one of the best opportunities you will have to practice your Spanish and learn more about Mexican culture and values. HOMES & CONDOS – If you would like an extended vacation or to live in Puerto Morelos, a great way is to rent a house or a condo that offers you all the convenience and comfort of home. Some rentals have a swimming pool or a gorgeous sea view at a reasonable rate. View our affordable Vacation Rentals, selected homes that offer a level of comfort not too far from what you find back home. Interested in buying property in Puerto Morelos? We can help you with the search and purchase process. When you find your dream home, if you don’t want to occupy the house on a year round basis, we can assist you by renting and managing the house for you when you’re not in residence. Ask us for details. Contact Us ! If you prefer a more traditional vacation experience, visit our Hotels web page for the properties on and off the beach that are available at reasonable prices. All Inclusive Hotels are also in popular demand and we have a great selection to offer. TAXI RATES – Rates have increased slightly for most destinations within the Riviera Maya location yet they are still a bargain. Do refer to the board located by the taxi stand in the center of town for a complete listing of rates. All rates are in pesos. Always ask the driver what the fare is before entering the cab. If you wish, you can also travel to our Colonia, across the highway from the main village of Puerto Morelos, by taking the local jitneys or buses at very reasonable rates. For Airport transportation, we operate a secured private service that is described on our web page Cancun Airport Transfers. If you wish, you can also rent a car while visiting Puerto Morelos, either for your whole stay or just part of it. CAR RENTALS can be booked for your arrival at the airport or delivered to your lodging during your stay. For more information, see our CAR RENTALS page or email us. We wish you a wonderful summer. If you have any questions about Puerto Morelos, please Contact Us ! SPRING HAS SPRUNG IN THE YUCATAN! . . .
After a mild winter we in the Yucatan Peninsula are welcoming the warmer weather that signals spring. The Yucatan coastline that comprises the Riviera Maya runs more than 80 miles, (190 km) south of Cancun and includes our seaside fishing village of Puerto Morelos, Playa del Carmen, Akumal and Tulum, as well as the amazing Sian Ka’an Biosphere Reserve and extends to Chetumal, the Capital of Quintana Roo located at the Mexican border with Belize. Everyone is enjoying the perfect combination of sun, beach and water found along this coastline at this time of year. If you are about to travel to Mexico, this area is more than 1,000 miles from the U.S. border and the weather is normally sunny with refreshing winds coming from the north. While the travelers are lodging in Puerto Morelos, they take advantage of the constant contact with the locals which makes it possible to practice or learn the Spanish language while traveling to an ancient culture. You can be find more detailed information on the web site page at Puerto Morelos Language Center regarding this educational activity. Take advantage of this fun method to learn a language quickly making it possible to speak Spanish during your stay in Puerto Morelos and then take your new-found skills back home to impress your friends and family. The Yucatan coastline that comprises the Riviera Maya runs more than 80 miles (190 km) south of Cancun and includes our seaside fishing village of Puerto Morelos, Playa del Carmen, Akumal and Tulum, as well as the amazing Sian Ka’an Biosphere Reserve and extends along the Costa Maya to Chetumal, the Capital of Quintana Roo that is located at the border to Belize. At this time of the year some local villages celebrate their CARNIVAL with many local activities that last approximately one week. These carnivals are a spring celebration as well as an Easter Celebration, as the official religion of Mexico is Catholicism. The TOURIST GUIDE of PUERTO MORELOS has recently been added to our web site, download it here [pdf]. For visitors it’s a great tool containing some important information including a local Directory, Travel Tips, and information of interest about the Rivera Maya. On the back page you’ll discover a local area map of Puerto Morelos, the best available on the web, with points of interests found locally. When you join us here, you must not miss the Cenotes (sink holes) located along the “Ruta de los Cenotes” of Puerto Morelos that goes as far as only 25 km to Leona Vicario where the roads join in and where you can travel in the direction of Merida. The VIRTUAL AERIAL TOUR of PUERTO MORELOS can be seen on the previous News Post edition of January-February 2012, a most interesting Video from a different perspective on Puerto Morelos – from the Air! Learn about Mexican cuisine at the Little Mexican Cooking School located in Puerto Morelos (see their web site ) The School even offers a Sunday Brunch open to the public where you can sample Mexican delicacies. The Jungle Spa and Market, located in the Colonia, has been operating at full capacity this season. Here, each Sunday at the Jungle Market, you can find local handicraft items and food for sale and be entertained with music and dance by local Mayans. The Spa is open 5 days a week and offers a variety of healing Mayan Massages. An appointment is recommended. Details about the Spa and Market can be found on their website: see their web site page. The Colonia Zetina Gazca, a pueblo or suburb located on the other side of the highway from our access road, is growing rapidly with more restaurants and small markets opening at a steady pace. You can get there easily by cab or frequent buses or jitneys “collectivo” that go back and forth at a very competitive price. Cabs and buses can be accessed in the center of Puerto Morelos at the corner of the Zocalo or town square. Once in the Colonia, enjoy a stroll down the quaint streets then stop at one of the many restaurants for a real Mexican meal or refreshing drink. You’ll also discover some excellent local organic produce markets in the Colonia. Any cab or jitney driver can point the way. Transportation prices are clearly posted at the Zocalo. Easter week is a national holiday and many people from all over Mexico will come to celebrate on the beautiful beaches of Puerto Morelos.May 10th is Mother’s Day in Mexico, a very important occasion when families celebrate women – their mothers and grandmothers – throughout the country. The Mayans believed Puerto Morelos was sacred for women. We think so too! Don’t miss it! The renowned annual Fishing Tournament is the weekend of May 25-27, 2012. Last year, hundreds of boats and fishermen from not only Mexico but other countries participated in this fun event where everyone from Cancun, Puerto Morelos, Playa del Carmen, Tulum and other areas, come to watch the weighing in of the catch, visit the food and craft booths set up along the dock and even enjoy musical entertainment after the awarding of prizes. Plan your Get-Away Holiday now so you won’t miss this fun weekend. Don’t wait too long to book your flight and accommodations for the best rates. Check-out the HOTELS or RENTAL properties and book your Reservation now in order to get the special low season rates. Unfortunately, we are presently experiencing more development in our village. After more than 20 years, here it is! . . . The machinery to prepare the drainage system that the municipality started to do more than two months ago, making our paved streets a total mess that will definitely take much longer than one can expect! The heavy machinery is digging at a slow pace therefore leaving the community to live with a lot of dust and powdered dirt that we have to put up with but… that’s part of modernization. AND TO REPEAT VISITORS, WELCOME BACK ! . . .